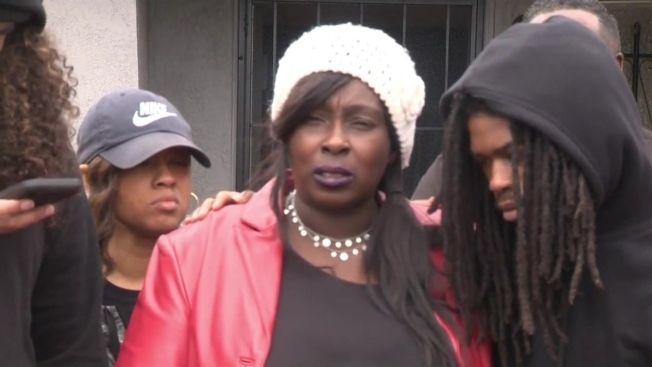 Angry relatives of a black man fatally shot by police as he held a cellphone have promised to continue their "fight for justice" after prosecutors in California declined to bring charges against the officers. The attorney for the family says his clients are hoping an investigation by California's attorney general will come to a different conclusion than that of local prosecutors. "This is just the beginning. The fight for justice has just begun," Stephon Clark's mother, SeQuette Clark, said immediately after prosecutors announced their decision on Saturday. The family planned a news conference at a Sacramento church Sunday with the Rev. Al Sharpton's group National Action Network to discuss what steps they might take. There have been numerous protests since Clark, 22, was killed March 18, 2018, in his grandparents' yard. After Saturday's announcement a Black Lives Matter demonstration drew about 100 people to Sacramento police headquarters where they protested peacefully in chilly rain. She also said physical evidence revealed Clark was the man who broke three vehicle windows and an elderly man's sliding glass patio door shortly before the officers confronted him. Family members accused her of unfairly blaming Clark for his death by revealing that and the personal troubles he'd been going through in the days before he was killed. The mother of Clark's children had recently brought a domestic violence complaint against him that Schubert said could have sent him to jail. She also revealed that Clark had been researching suicide websites, including those that suggested using a tranquilizer that was found in his body. "Whatever his character is or his actions prior to those officers gunning him down, is no one's business," Clark's mother said. "It's not justification. That's not a permit to kill him."